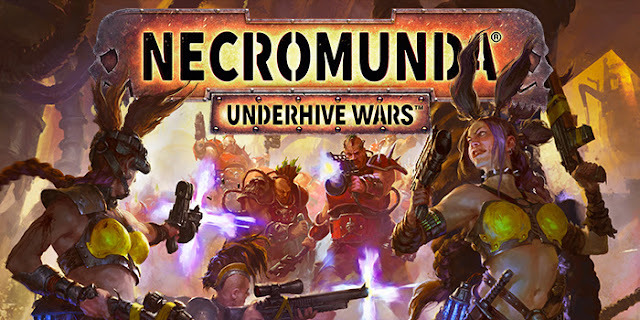 Necromunda: Underhive Wars is the first video game adaptation of the Games Workshop tabletop game, with a unique setting and perspective on the Warhammer 40,000 universe, which saw a new version launch to critical success late 2017. Created by Rogue Factor, developers of Mordheim: City of the Damned, Necromunda: Underhive Wars blends fast-paced tactical combat with RPG elements and deep unit customization, coming to PlayStation 4, Xbox One and PC. Step into the twisted tunnels and rusted corridors of the Underhive in a new teaser trailer, seeing life from the view of a hardened Escher gang member. Command one of Necromunda’s iconic gangs, embracing anarchy, violence and death in an endless war for control to dominate this hellish place. Pick between the Eschers, an all-female gang who have made their name through selling drugs and chemicals throughout the Underhive, or the Goliaths, hulking warriors worshipping physicality and using strength-enhancing drugs to dominate in battle. Other gangs will be unveiled in the coming months. Compose your gang carefully, based on the style of warfare you want to wage. Every fighter is highly customisable in loadout and appearance, and has access to a career which unlocks further skills, traits, weapons, and visual elements. Battle in the vertical environments of the Underhive, use raised walkways to push a high ground advantage, set traps for unwitting victims, and ambush your foes to force them into bloody melee engagements. With each battle won, your gang members grow in power, earning more powerful skills and loot, but beware! Even victories will result in casualties - deaths and injuries are permanent, and you’ll need to live with the consequences of every battle. Necromunda: Underhive Wars will release on PlayStation 4, Xbox One and PC.